Robes and baby-kissing aside, lawmaking can be messy. Judges sometimes wash their hands of decisions, telling legislators it's their problem. Legislators sometimes blow back with their own versions of judicial opinions. In California, lawmakers are trying to clean up a major issue in the gig economy. But every lobbyist knows, it's like making sausage -- messy. Last year, the California Supreme Court laid down a new rule for classifying independent contractors. The high court answered a burning question: When are "independent contractors" actually employees? Independent contractors are workers who perform work that is "outside the usual course of the hiring entity's business," the high court said. In Dynamex Operations West, Inc. v. Superior Court of Los Angeles County, the state supreme court touched a sensitive nerve for companies like Uber and Lyft. Now legislators, labor unions, and business groups are negotiating about whether the decision should be codified, modified, or otherwised. Assemblywoman Lorena Gonzalez of San Diego wants Dynamex enshrined in the law. "We want to ensure that workers aren't left behind in this new gig economy, doing one side hustle after another," she told the San Francisco Chronicle. Dynamex applied specifically to wages, saying workers who are misclassified as independent contractors deserve at least a minimum wage and overtime. Gonzalez has introduced a bill to extend the ruling to benefits such as unemployment insurance, workers' compensation, family leave, sick days, and health insurance. Assemblywoman Melissa Melendez of Lake Elsinore is going the other direction. She is sponsoring a bill to roll back Dynamex. 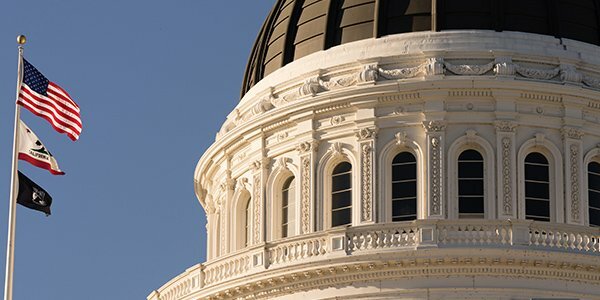 "This legislation addresses the chilling and potentially harmful impacts the Dynamex decision will have on the business community in our state and for the nearly 2 million Californians who have made the choice to have flexible work schedules as independent contractors," she said in a statement. In between the legislators, labor and business groups are talking about splitting the baby. Like the lobbyists say, it can get messy in there.